What Goes Well With Brussels Sprouts? What Do Brussels Sprouts Go Well With? Other: almonds, bacon, cashews, pecans, walnuts, white wine, soy sauce, sesame seeds, pine nuts, pistachios, vinegar, olive oil. Turn them into a weekend lunch. Warmed Brussels sprouts saladis perfect for the cooler weather. Fresh, light, yet still warming and comforting. They also add great flavour and nutrition to a quick dinner like this linguine dish. 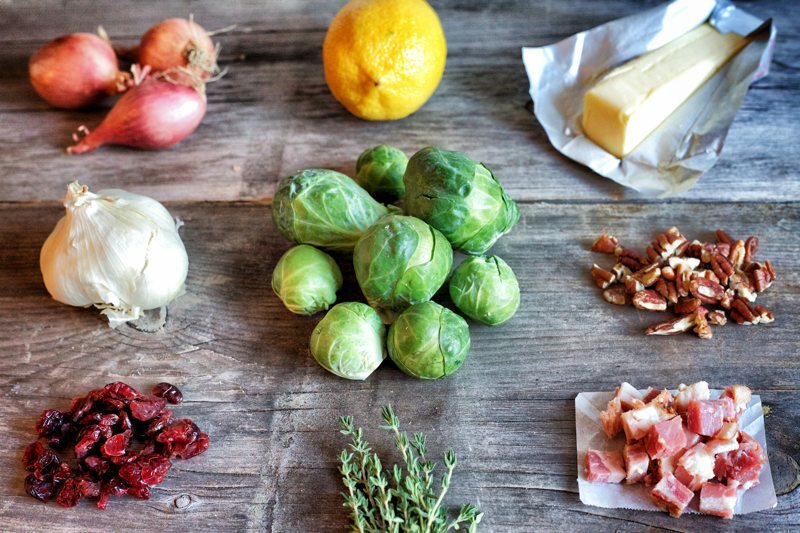 Brussels sprouts aren’t just for the holidays. Bake them for breakfast in this Brussels sprout frittata. 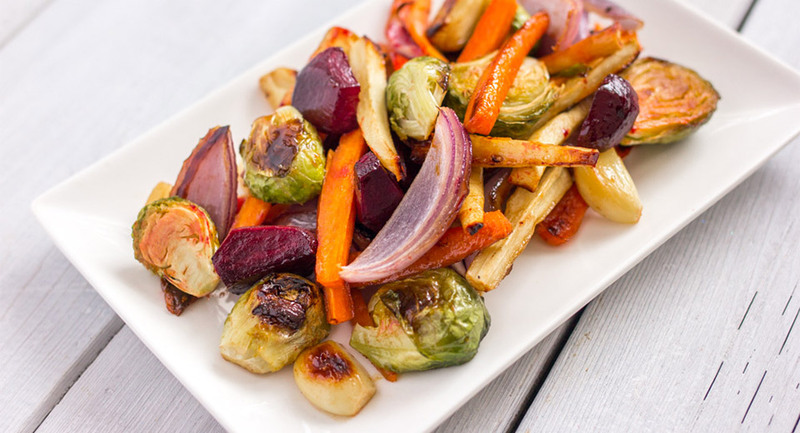 Sprouts are always a classic for holiday side dishes. Try them sautéed with caramelized shallotsor roasted with cauliflower. Toss them with bacon and cranberries and they will perfectly balance out the turkey dinner. Add a pop of colour and caramelized sweetness to your plate with this linguine with Brussels sprouts, caramelized onion and sundried tomato. 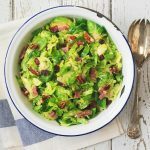 Shredded Brussels sprouts with bacon, pecans and dried cranberries are perfect for the holidays or a Sunday roast chicken dinner. The salty and sweet combination makes for a side that everyone will enjoy. This gluten-free Brussels sprout gratin is perfect for those with dietary restrictions. Use shredded Brussels sprouts in place of cabbage in an otherwise classic slaw. 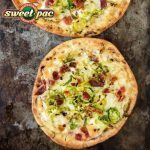 Fall pizzas are sure to become a family fave, especially one that includes roasted pumpkin and shredded Brussels sprouts. I am a purist at heart. I love my veggies many ways but sometimes just add a pinch of salt and they sing all by themselves. I had caramelized Brussel Sprouts with a touch of salt,nothing better than that. No additional ingredients needed even the grandkids like them!